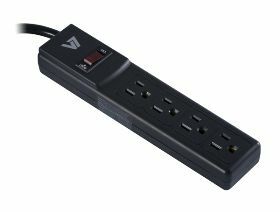 Safeguard your home/office appliances, electronics and connected devices with this V7 4-outlet surge protector. 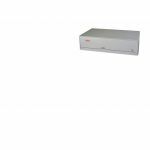 Durable and strictly tested, this device features 4 surge protected outlets, EMI/RFI filtering and offers up to 450 joules of surge protection. 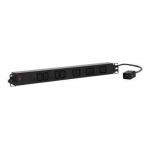 The V7 4-outlet surge protector provides unsurpassed power protection and peace of mind – backed by a lifetime warranty and a US$ 25,000 Connected Equipment Assurance.